Asian growth for the world's most successful watch auction house. Now in his eleventh year in the watch auction business, Italian native Thomas Perazzi was most recently the head of Christie’s watch department in Geneva, previously having served at both Antiquorum and Sotheby’s. Having left Christie’s in a surprise move, Mr Perazzi is now the Head of Watches, Asia, at the auction house that recently sold the most expensive watch ever, New York-based Phillips. Taking up residence in Hong Kong for his new role, Mr Perazzi will be especially focused on watch auctions in the territory, which are typically a diverse mix of vintage and modern timepieces. Joining him in Hong Kong is Ho Zi Yong, a watch specialist who was formerly with Christie’s in the territory. In Singapore two weeks ago for the first leg of the Hong Kong watch auction preview, Mr Perazzi sat down for a chat to explain what’s in store for collectors in Asia. What are your plans in Asia for the watch department? First of all, I would like to maintain the Phillips watch department’s leadership in Asia. And secondly, I would like to expand the market; there are so many areas where collectors aren’t covered by auction houses. And thirdly, I would like to increase collectors’ knowledge of vintage timepieces. There are extremely knowledgeable vintage collectors but only in certain areas. We especially want to share our passion for vintage watches with beginners or modern watch collectors and make them understand the importance of collecting vintage Patek Philippe or Rolex. But the message I would really like to share with Asian collectors is to look for high quality. That is for me the key to success in the future. Can you elaborate on the segments of collecting that you would like to develop? We just had our Heuer sale in Geneva. It’s a brand that is known but not so well-known. People know about the iconic models like the Monaco, Carrera and Autavia but there are so many other references that are extremely collectible but not known to the majority of collectors. There are also Eberhard and Longines. People are aware of their importance but their knowledge of these brands isn’t as deep compared to American or European collectors. Another one is Movado, the chronographs from the 40s and 50s. They made beautiful chronographs in stainless steel. Right now they’re a little bit undervalued. 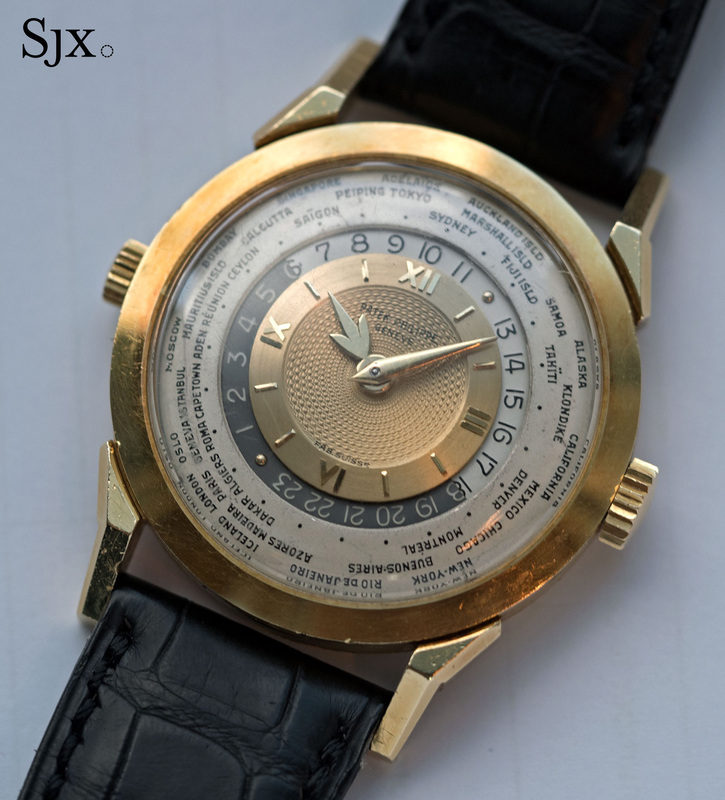 Vintage watches from the likes of Eberhard and Longines are primarily sold in Geneva auctions. How would you aim to develop these brands in Asia? Simply by meeting watch collectors during the previews, showing them good examples, spending time with them and showing them the importance of these watches. Again, it’s about sharing the passion that we have for these kinds of brands. Can you name any other such brands that you think are flying under the radar right now? One of my favourites is Breitling. It’s slightly undervalued right now. The Top Time, for example, or even nice Chronomats or Navitimers from the 1960s and 1970s. Contemporary independent watchmaking is a big thing in Asia. Do you still intend to keep that as a major part of your business? Absolutely. The success we had today [at the Singapore preview] is just amazing. 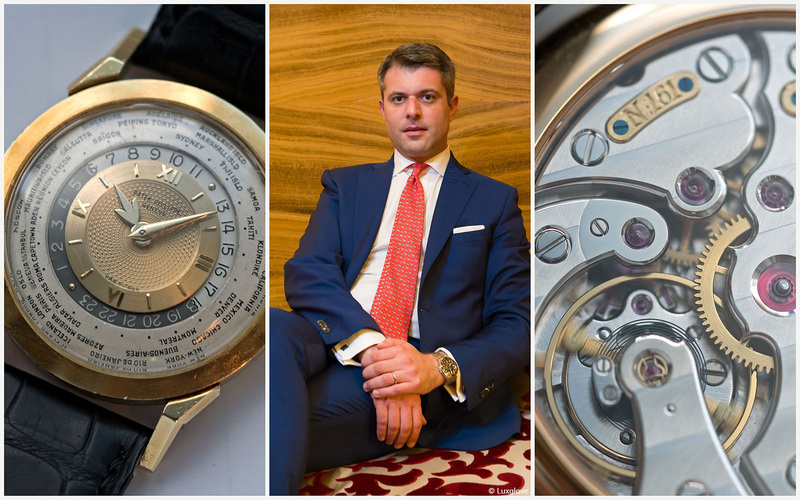 We have the examples of Laurent Ferrier and especially Phillip Dufour [in the upcoming Hong Kong auction]. Collectors are aware of the importance of those watchmakers. I want to have a balance of vintage and modern watches for our Hong Kong sales, and also not forgetting the importance of highly complicated pocket watches, which are part of the history of the industry. Pocket watches are not particularly popular nowadays. Do you think it’s worthwhile for collectors to pursue them? Absolutely. Again, the key is quality. They must be well-preserved, perhaps pocket watches from an important brand. And if a collector wants to be wiser or have a collection that covers the history of watchmaking, they need a pocket watch in their collection. Can you tell us what are the highlights from the upcoming Hong Kong auction? For sure the Patek Philippe ref. 2523 world time with double crowns and the gilt guilloche dial. It’s only the second example known. There are two things I love about this watch. First is the condition; it has been extremely well-preserved over the decades. Next is the little things that make this watch unique: it was sold by an important French Patek Philippe retailer, Jean Guillermin and still has the beautiful French import hallmarks on the back. When you have it in your hand, that watch blows your mind. The other watch is the Phillip Dufour Simplicity. It is always an honour to have such a watch in our auction. And speaking of pocket watches, we have an important quarter-repeating pocket watch by Abraham-Louis Breguet. The no. 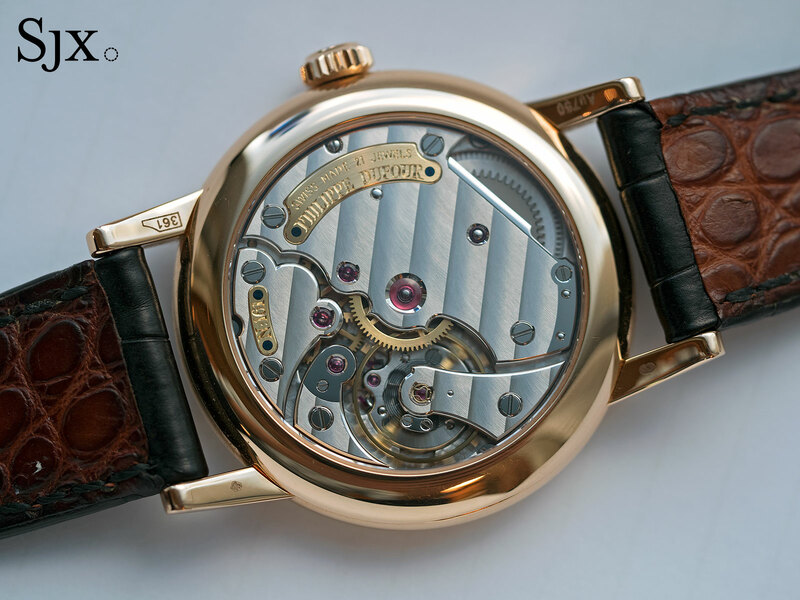 9 perpetuelle was one of Breguet’s very first self-winding watches and I highly recommend collectors to have a look at it. Mr Perazzi’s inaugural sale, The Hong Kong Watch Auction: Five, takes place on November 28, 2017 at the Mandarin Oriental in Hong Kong. The full catalogue is available here.